European Union foreign ministers have agreed to form a naval mission in the Mediterranean Sea targeting gangs smuggling refugees from Libya to Europe. The decision was made during a meeting in Brussels. 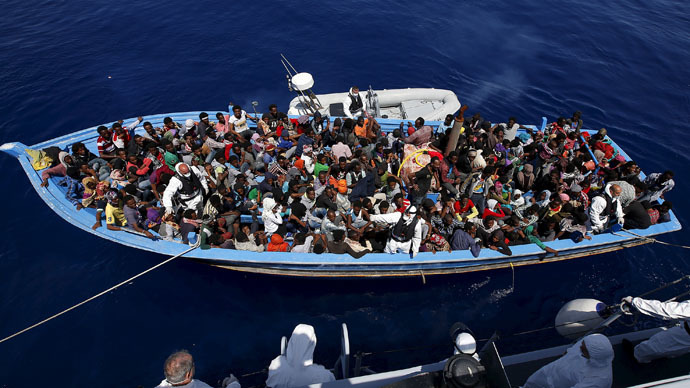 The move will “disrupt the business model of smugglers and traffickers’ networks in Mediterranean,” according to EU foreign affairs chief, Federica Mogherini. The European Union aims to capture smugglers and destroy their boats off the Libyan coast in an effort to tackle the rising number of migrants fleeing North Africa for Europe. However, many countries want UN authorization before acting on that plan. "This is just the beginning. Now the planning starts," Mogherini said, adding that the naval mission may start as early as July. "There is a clear sense of urgency. As summer comes, more people are traveling," the EU foreign affairs chief is cited as saying by Reuters. The headquarters for the operation will be based in Rome, with Italian rear admiral Enrico Credendino set to head the operation during its initial year-long mandate, she said. According to the EU foreign policy chief, the operation will consist of three main phases – intelligence gathering, inspection and detection of smuggling boats, and destruction of the captured vessels. Mogherini also said that the EU would seek co-operation from Libya to destabilize the smugglers’ networks and is ready to work with both the UN-recognized government in Tobruk and its rivals in Tripoli and Misrata. “We are looking for a partnership. There is a responsibility the Libyans themselves have to take on their territory, for the land and sea borders,” she said. However, the Libyan government in Torbuk has already called the mission a “very worrying” prospect, expressing fears that the EU warships may mistakenly target fishing boats in the Mediterranean. The European Council on Refugees and Exiles (ECRE) also expressed concern saying the operation would only cause even more people to lose their lives. “An unintended consequence of this mission is that it may even lead to more deaths. If there is a shortage of vessels, even more people will be packed into them. 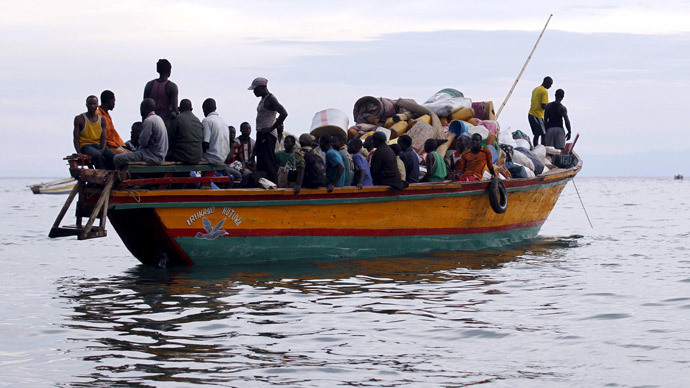 There is even a possibility, given the desperate situation these people face, that they might try to construct their own boats,” Michael Diedring, ECRE secretary-general, stressed. Previously, Mogherini had stated that such an EU naval mission would increase the chances of the United Nations Security Council granting authorization for a more aggressive mission. A more aggressive initiative from Europe is exactly what NATO Secretary General Jens Stoltenberg is lobbying for, since Islamic State (IS, formerly ISIS/ISIL) militants might be “also trying to hide, to blend in among the migrants” in order to get to Europe. On Friday BBC reported that Islamic State militants are allegedly being disguised as refugees on boats crossing the Mediterranean. The journey from North Africa to Europe is an extremely dangerous one, with 3,500 people dying in the Mediterranean in 2014 alone. A total of 1,800 have already drowned in 2015, a 20-fold increase from the same period last year, according to the UN Refugee Agency. Political writer, Dan Glazebrook, has criticized the EU plans, suggesting that the naval mission is likely to prove fruitless or even counterproductive. The smaller operators, now running smuggling and trafficking from Lydia, won’t be able to withstand the European warships, but it wouldn’t mean that the trade would stop, Glazebrook wrote in his opinion piece for RT. The illegal business would move into the “hands only of those with the firepower necessary to run the operation in the newly militarized terrain – that is to say, in the hands of groups such as ISIS and Al-Qaeda. And they would be doing so in a market that would have become immeasurably more profitable,” he stressed. 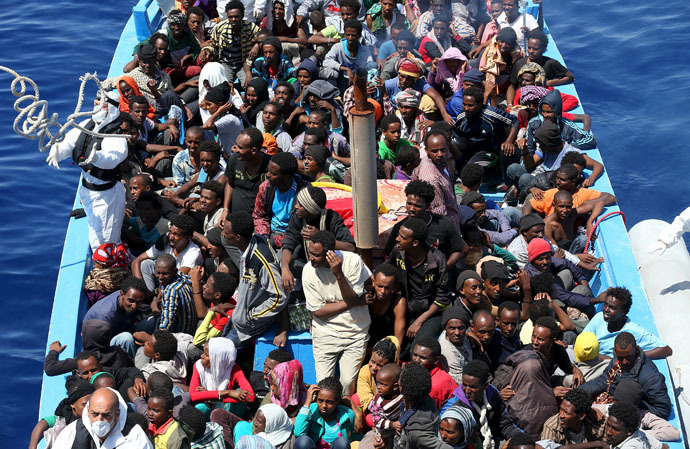 “Thus, the practically guaranteed result of the EU’s strategy would not be to eliminate the ‘people smuggling trade, but to ensure that it helped concentrate massive wealth and firepower in the hands of Libya’s most violent gangs,” Glazebrook added.